Executive National Bank is a locally-owned financial institution that has proudly served the South Florida community since 1972. Executive National Bank’s mission is to differentiate itself by providing high-quality products and personalized service to the community in a stress-free and timely manner to ensure the long-term success of its clients, employees, and the financial institution as a whole. Our vision is to be the premier business bank for professionals, local businesses, and property management companies. Our team of professionals commits to providing exceptional service, enhancing the product mix, and improving technology to help us become the best business bank in South Florida. We specialize in small business loans and bank services for homeowner associations, property management companies, doctors, accountants, and lawyers. 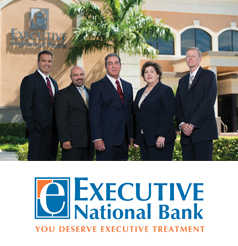 For more information on Executive National Bank, call (305) 274-8382 or visit www.executivebank.com. Member FDIC. Equal Housing Lender. 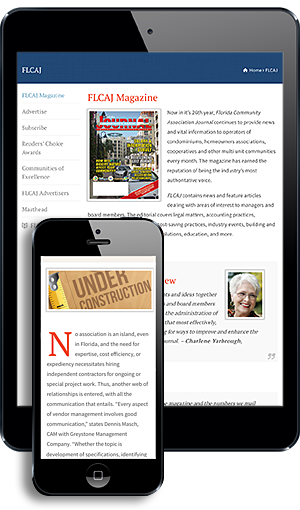 The award-winning Kaye Bender Rembaum is a full-service commercial law firm concentrating on the representation of 800-plus community associations throughout Florida, providing prompt, effective, cost-efficient, high quality, understandable legal advice. With offices in Broward and Palm Beach counties, the Firm assists clients in all matters of association representation, including, but not limited to, collection of assessments, contract drafting and negotiation, covenant review and amendments, covenant enforcement, and construction defect claims. The Firm hosts free continuing education for community association board members and CAMs through “Ask the Attorney” sessions, as well as monthly educational programs and a monthly radio show, to assist them with operating their communities better and to educate them on their responsibilities and duties under Florida law and their governing community documents. 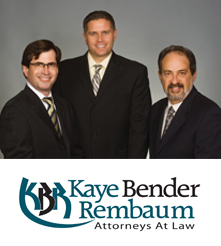 For more information, call (954) 928-0680, visit www.KBRLegal.com or follow www.facebook.com/KayeBenderRembaum. Delta Engineering & Inspection Inc.
Delta Engineering and Inspection Inc. (Delta) is a professional consulting and licensed engineering firm which has provided inspection, engineering, project management, and expert witness services to community associations, owners, developers, contractors, attorneys, architects, and lending institutions since 1999. Our team of multi-disciplined engineers, certified inspectors, and construction professionals utilizes sound engineering principles and practical judgment in determining the best approach for your project. Delta is fully licensed and insured and offers a broad range of professional services tailored to our clients’ specific needs. Delta provides services throughout the state with offices in Sarasota, Naples, and Clearwater. 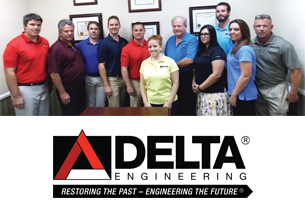 For additional information on Delta Engineering & Inspection, please contact us at (877) 577-7100 or visit www.delta-engineers.com. 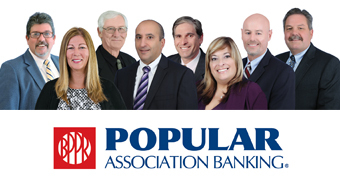 Popular Association Banking (PAB), a division of Popular Community Bank1, serves the community association industry exclusively. Since our inception in 1994, we have assisted 6,300-plus associations with just under $3 billion in loans. In addition to providing loans to community associations, we also offer a full array of depository services as well as lockbox and cash management services. PAB offers personalized service and flexible loan structures with competitive interest rates. Our dedicated staff of experts works with the board and property manager to customize the most beneficial solutions to meet your association’s financial needs. Our service level, industry knowledge, and reputation are the cornerstones of our success. For more information on Popular Association Banking, call (800) 233-7164 or visit www.associationbankers.com. 1 “Popular Community Bank” is the assumed business name of Banco Popular North America, Member FDIC.